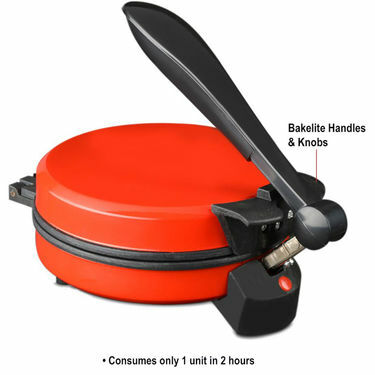 Now make chapattis in less than a minute with this safe & portable roti maker. Backed by a non-stick base and auto switch off feature, it is designed to simplify your life. 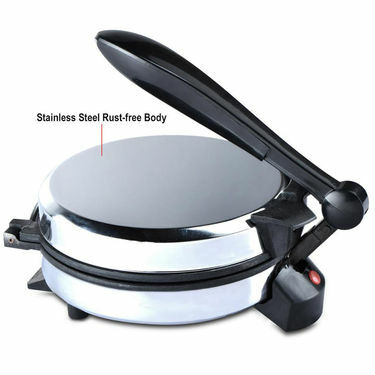 The roti maker can be also used to make fresh and crisp Khakras, Pizzas, Pancakes, Uttapam and more. 6. 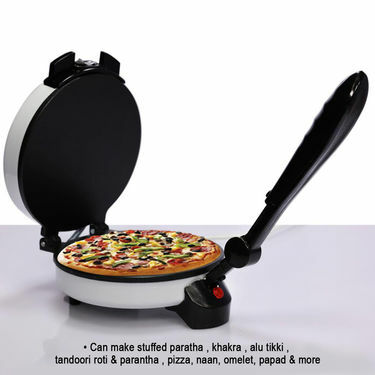 Multi cooking appliance: Besides making rotis, can also be used for parathas, khakhras, pizza, uttapam, pan cakes etc. 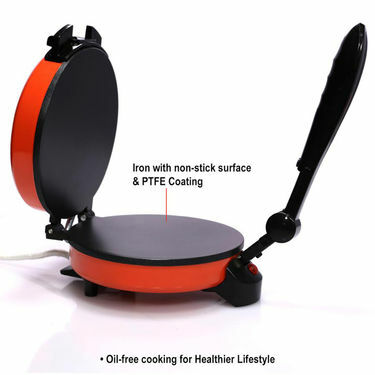 In product details, it is mentioned as it Consumes Power 1 unit in 2 hours. 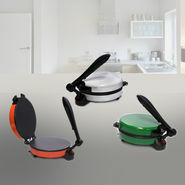 So should we have to connect any electrical plug during its usage? 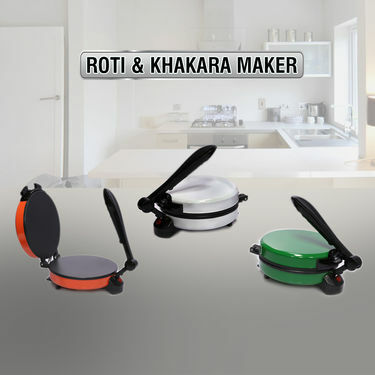 Roti & Khakara MakerVSColoured Roti and Khakra Maker + .. Roti & Khakara Maker VS Coloured Roti and Khakra Maker + ..
Roti & Khakara MakerVSRoti Maker + 10 in 1 Food Process.. Roti & Khakara Maker VS Roti Maker + 10 in 1 Food Process..
Roti & Khakara MakerVSIrich Multi Functional Smart Cook.. Roti & Khakara Maker VS Irich Multi Functional Smart Cook..